Hello Karl here with a look at the Raiscube A8R. 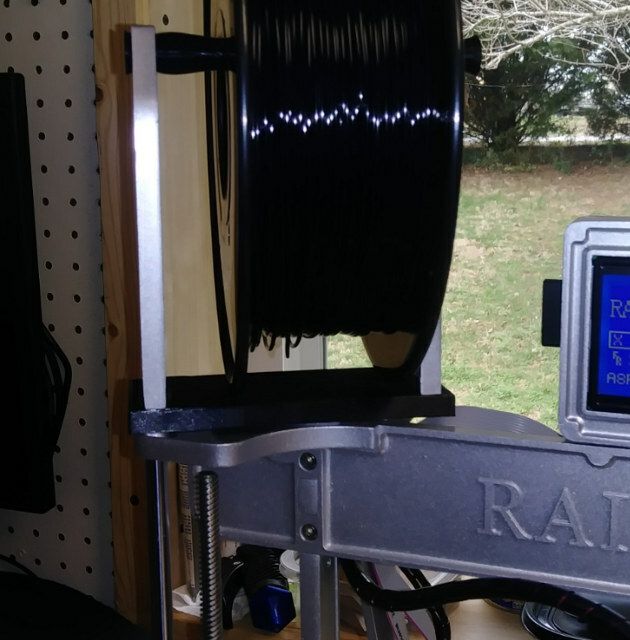 If you recall I reviewed the R2 3D printer quite a while ago. I really liked the R2, so when I heard that this newer version came out I reached out to Raiscube directly and asked for a review sample. Raiscube kindly obliged, and I am so glad that they did. The A8R is the upgraded version to the R2. The most prominent differences is the acrylic frame is gone, being replaced with an aluminum frame, and the build time is slashed considerably. This review has been in the works since last November. I liked it a lot so wanted to put it through its paces and put a lot of hours on it. This kit is not like other kits on the market. It is not quite as easy as Creality CR-10 or JGAurora A5 with its 30min build time, and is more of a true kit with a twist. 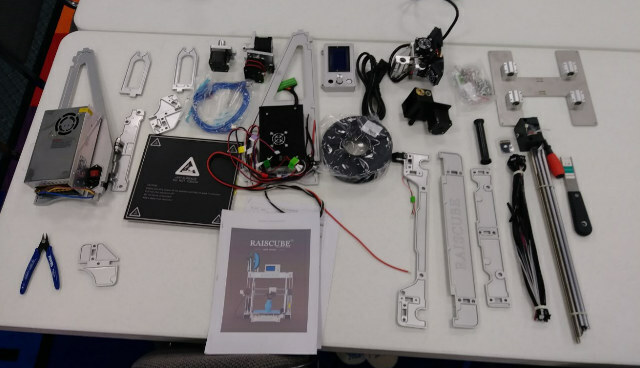 I have been wanting to host a workshop for kids at the local library around 3D printing, and this kit was perfect for that. I ended up doing 2. The first Saturday session we built the machine which took all the time we had allotted, about 2.5 hours, then we had another Saturday session where we designed a simple shark and printed it. The build went as smooth as it could have went. I was working with children with an average age of 10 years old, and they all took turns. We split the build by page. When a page was complete we moved to the next child. Documentation was really good, and was already printed. I let them do all the work and I supervised. I could not take pictures of the process due to wanting to respect the kids and parents privacy. I am positive that I could have built in a shorter amount of time but wanted to let them do the entire process. I had a lot of fun and I hope they did too. First thing I noticed was that the spool holder was not wide enough for a standard spool, so I created a simple adapter to increase the width. The A8R had the exact opposite problem as the R2. The holes for the parts cooling were slightly too small. To fix I took a wide flat screwdriver and pried open to increase the airflow. My bed was slightly irregular so I clipped on a mirror as a print surface. The bed comes with a peel and stick build surface. If I would have known that, I would have tried the build surface on top of the mirror. I like printing on mirrors anyway. Finally, I don’t know why they did this, but the fan that cools the parts and the fan that cools the extruder are tied together. With PLA this is fine. Typically you don’t run the fans to cool the parts on the first layer, and the extruder will never have a chance to get too hot with PLA. 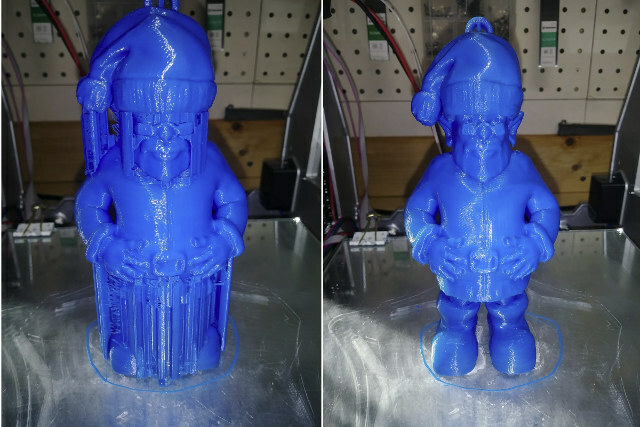 But if you plan on printing with ABS, parts cooling needs to be off the entire time, and the extruder could potentially get too hot. 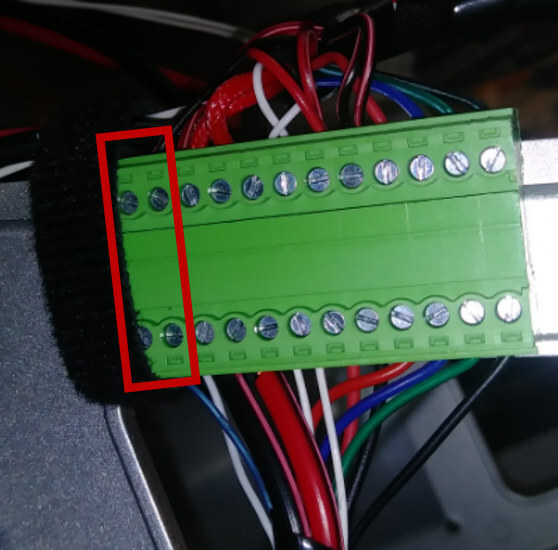 I fixed this with about 150mm of wire and connected the fan directly to 12v so it is on all the time. 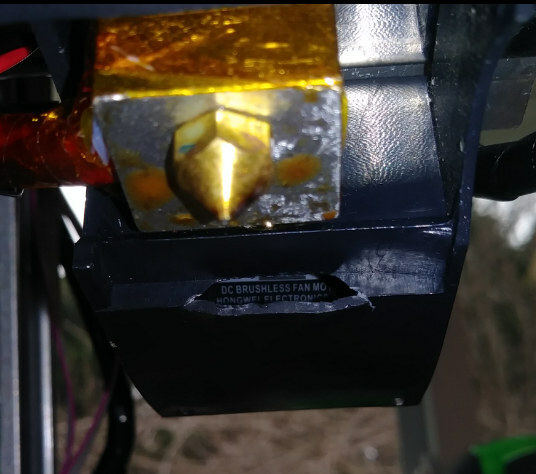 I found the wires on the block that were going to the extruder fan and put them on there own pins and run an always on 12 v to the block to fix. Boggles the mind. I found the printer loud. I think it is due to being an all metal frame on my hard workbench. 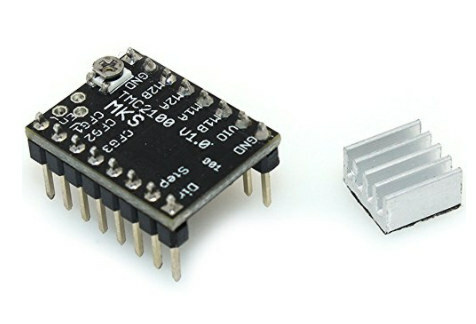 So I upgraded the stepper drivers to TMC2100 drivers. Thankfully they are replaceable. Now the printer is one of the quietest printers I have. I took some measurements with my phone to give you an idea. This is by no means an accurate measurement, but just a point of reference. The bed heats up with some respectable times. 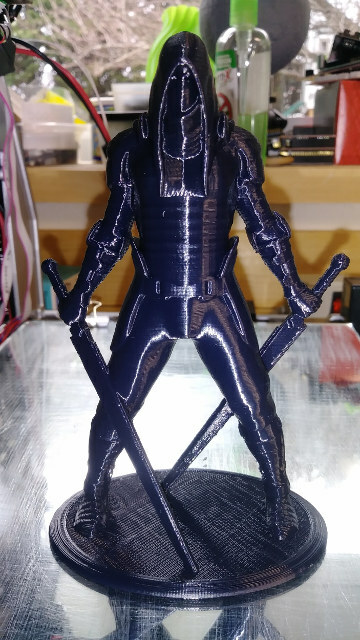 I feel very fortunate to have a second printer now that I would recommend highly. 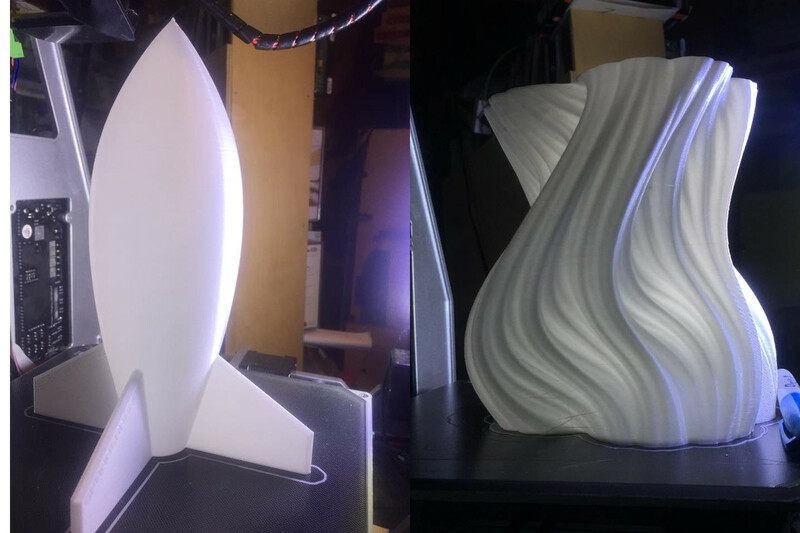 Despite the few flaws that were easy to fix, I do like this printer a lot. The prints are amazing. Once settings are dialed in layer lines disappear. 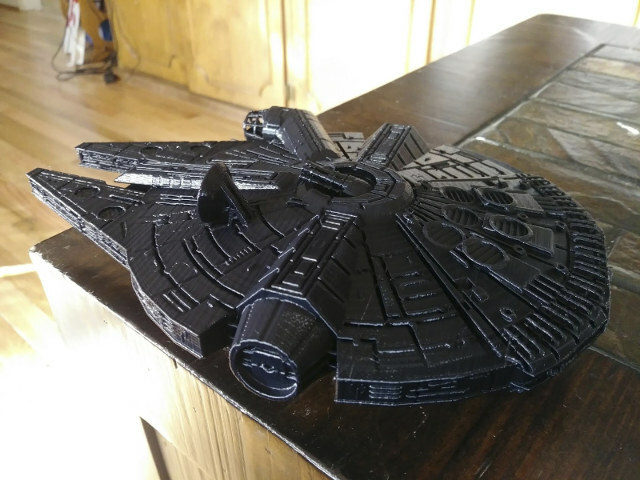 I think it produces the best quality prints that I have printed to date. 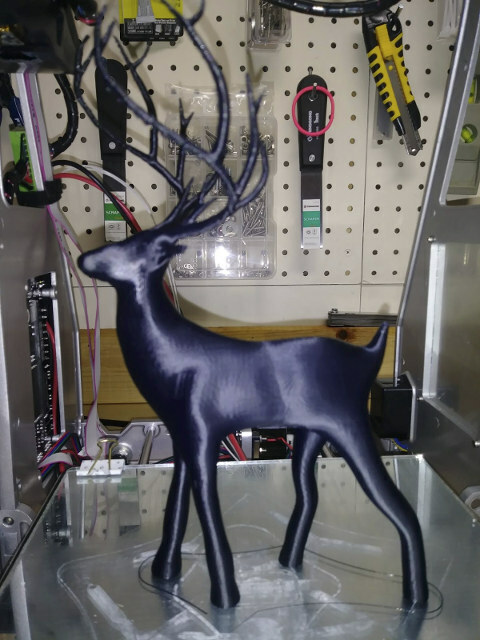 Better than the Creality CR-10 and JGAurura A5. I think that it is partially due to being a smaller printer. Most everything that I print fit on this printer. 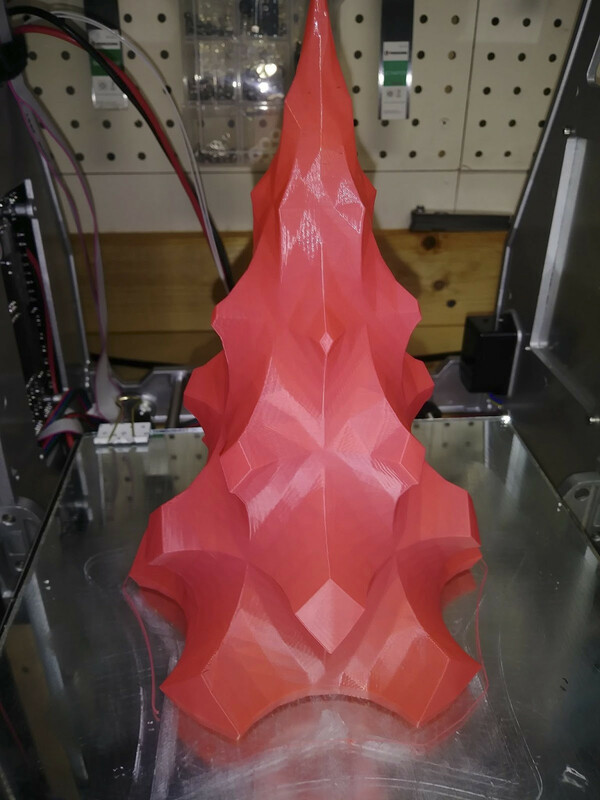 I wish I was able to put it up against an original Prusa printer. I think it would give it a run for the money. 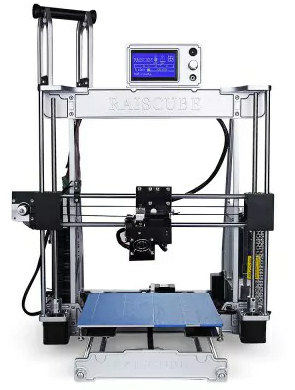 I would like to thank Raiscube for sending this printer for review. It can be found on Amazon ($319.99), and GearBest ($329.99) but it looks like Amazon has a slightly revised version that fixes at least the one issue with the filament holder. You can find the printers on Ebay for $270 which is a great deal for what you get. 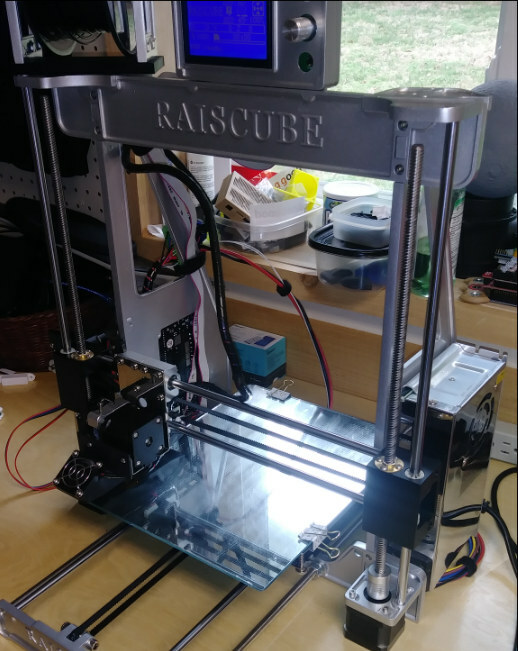 I have an email into Raiscube asking if they addressed the blower or fan hole issue and will reply back in the comments once I hear back.